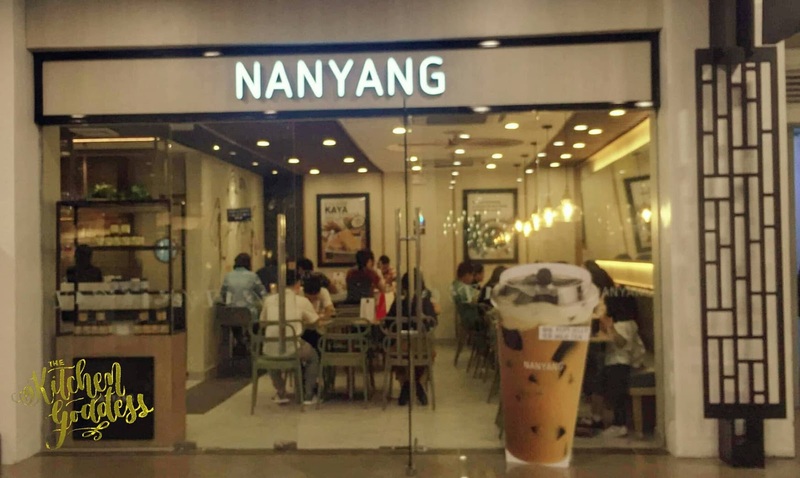 Our craving for laksa and chicken rice led us to the newly opened Nanyang in Greenbelt 5. My daughter also happen to like milk teas and I remember that Nanyang has one of the best milk teas that I've tasted. You can read about it here when I joined the SM Food Crawl -- Singaporean Kopi Tiam and SM Aura Food Crawl. I did say we were craving for laksa and chicken rice but we got overwhelmed looking at the menu and ended up ordering Nasi Lemak, Fish Ball Noodle Soup, and Cheesy Chicken Chop Noodle. I had the Homemade Nasi Lemak (P238) and it is really quite good, comparable to the ones I've tasted in Singapore. I also love the sambal sauce but it was kinda bitin! Hahaha. Even my daughter and hubby loved the nasi lemak because they kept on getting some from my plate. Two thumbs up! 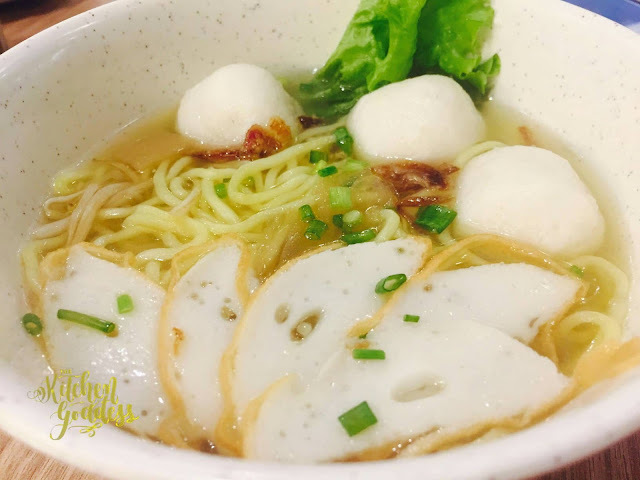 Hubby had the Fish Ball Noodle Soup (P198). 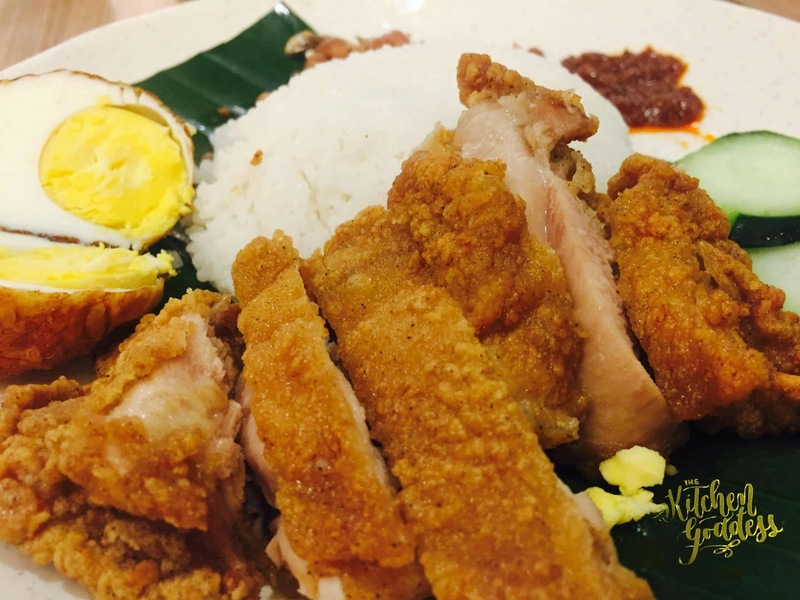 I wasn't able to try it because I was really concentrating on the Nasi Lemak. But he finished off the whole serving so that's a good sign. 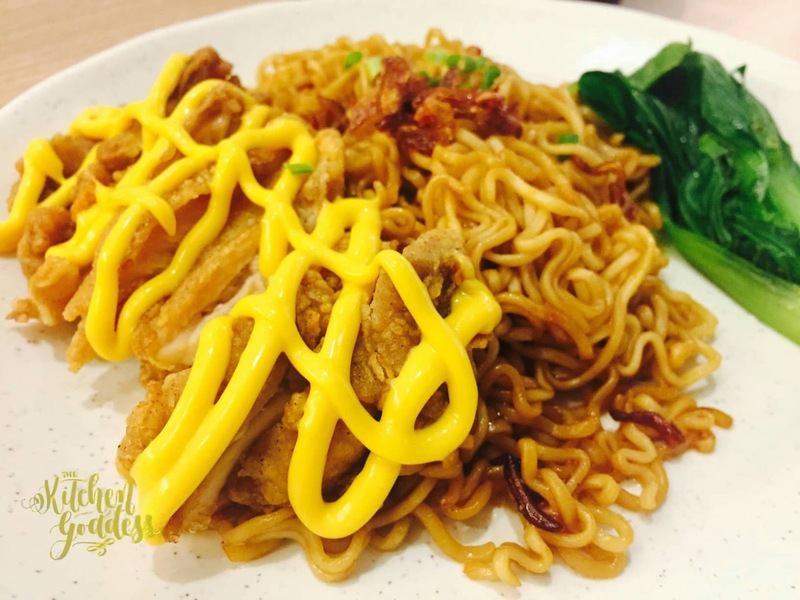 Daughter had the Cheesy Chicken Chop Noodle (P238). The chicken tasted interesting because of the cheese and the noodles was kinda similar to mee goreng. She said its good but would've preferred to order the nasi lemak or the chicken rice next time. I think she got excited with the cheese that's why she ordered it. For drinks, I had the Teh Melaka (P120), hubby had the lemonade (really! ), and daughter had the milk tea (can't remember what kind). Hubbys drink costs only 50% of the price because we upgraded his order to include a drink (milk teas doesn't count though). 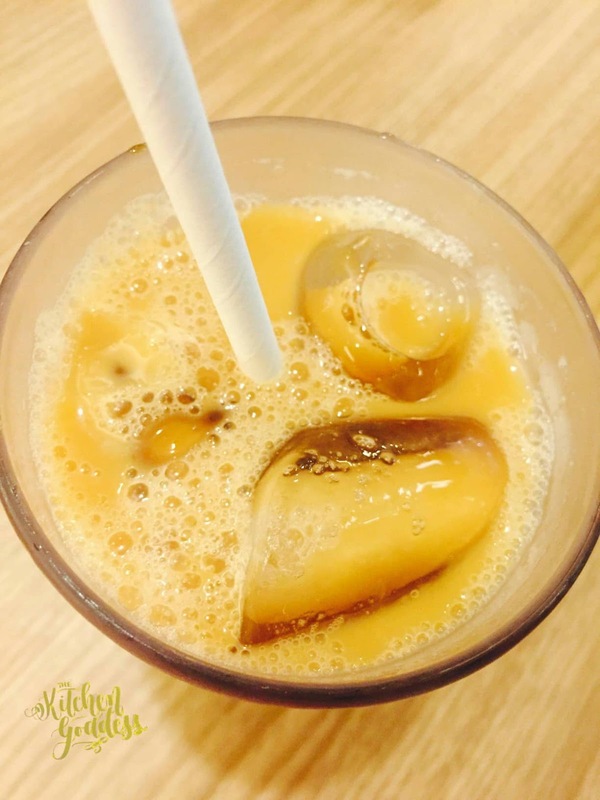 This is my Teh Melaka which has brown sugar at the bottom. And even if you mix it, it tends to settle at the bottom again. Taste is similar to our local "panucha." 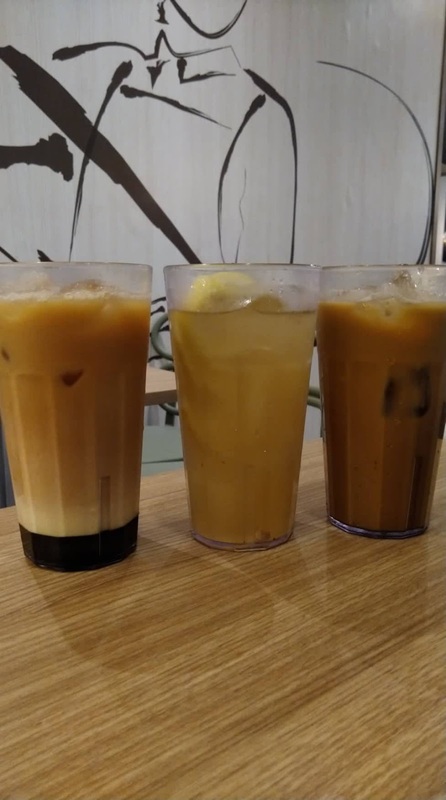 Nanyang's Teh Melaka was so good that I want to order another round but the long line at the counter prevented me from doing so. There's always a next time. Service at Nanyang needs to be improved though especially during peak hours. We dined at around 7pm and our food was served one dish at a time with about 10-15 minutes interval and I have to go back to the cashier and follow up the order. I guess our orders got mixed up somewhere because I noticed that the table near us was served their food first even if we arrived ahead of them. Hope this gets sorted out soon since the restaurant is still newly opened. And the food tasted great so I am not complaining that much with the slow service.